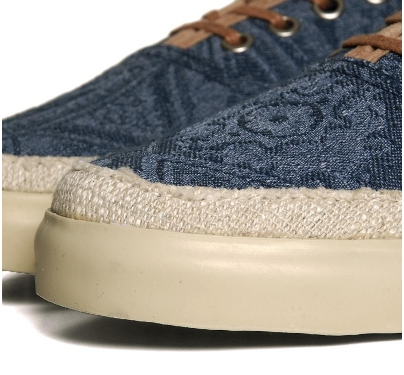 So it's a little known fact that Vans knows a thing or two about making a cool sneaker. 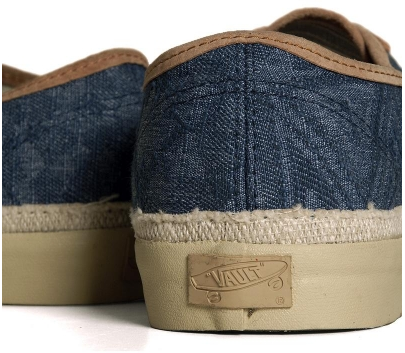 Whether you're skating or just lounging in them Vans gets at you. With their Vans Vault division, the label goes a bit more unique and pristine with the fabrics and details to give you a bit more than a skate shoe and something closer to cool shoes just to exist in. 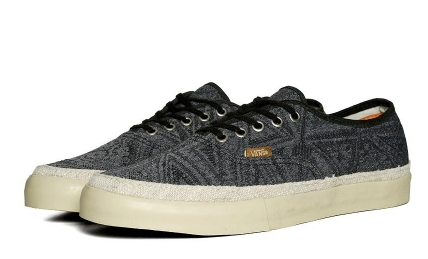 Their LX Tiki Sneaker for Summer 2012 is a great looking shoe that look great with cuffed colored khakis or trim bermudas and plays up a Hawaiian theme with the canvas tiki print and crude canvas trim. 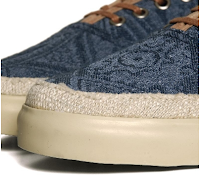 All in all you wind up with an understated sneaker with just enough umph to get you through the summer. 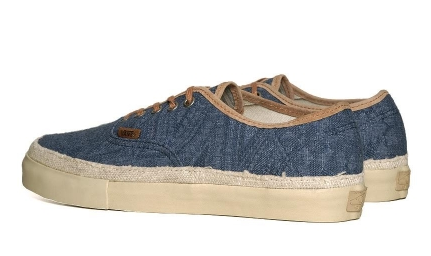 Available now in Shark and Black at EndClothing.